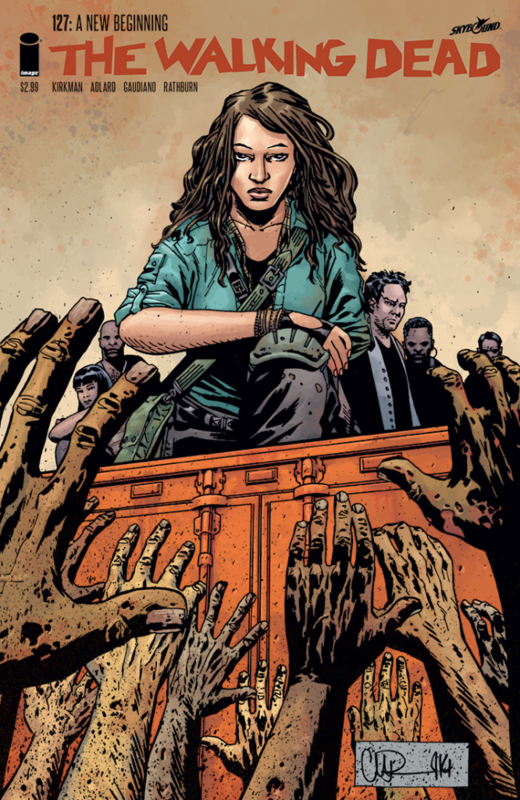 The latest issue of The Walking Dead, which introduces a radically different status quo for our cast, was as big a hit as it was a risky departure. According to Comicbook.com, the book sold out will go back for a second printing. The Walking Dead writer Rober Kirman acknowledged that the new direction might have been rejected by fans, and he said he was glad to see that they stuck with it. The second printing of 127 will be released June 11, along with the following issue, 128. If you can’t get a physical copy of The Walking Dead, you can always buy it digitally, either direct from Image Comics without DRM or from comixology.